TCS' Adult Literacy Program, won the prestigious IBM Beacon Award 2018 for Outstanding Community Service at the IBM PartnerWorld at Think conference in Las Vegas, Nevada on March 20, 2018, The winners were selected by a panel of expert judges consisting of IBM executives, industry analysts and members of the press . 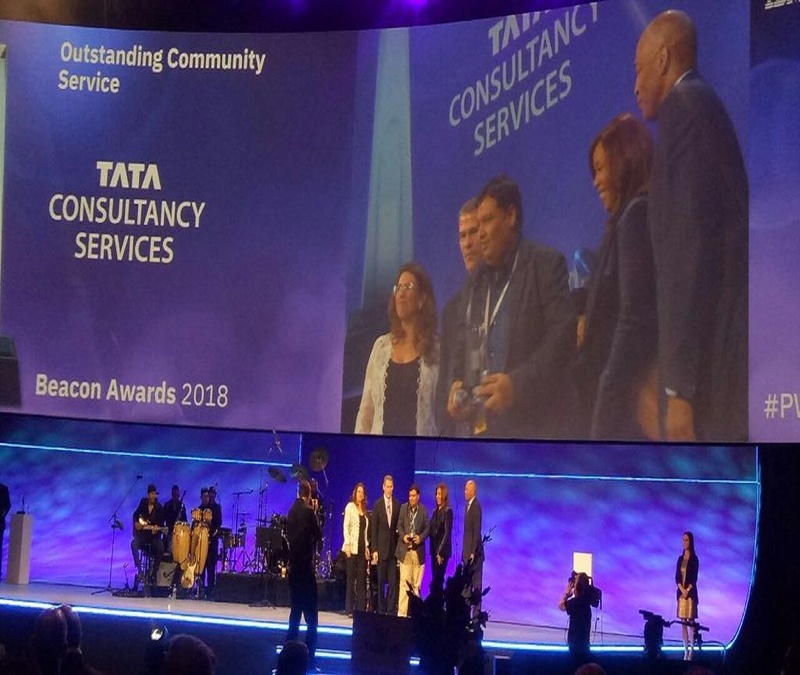 The award recognizes TCS' exceptional work in driving social value by delivering a world-class solution. Reach for our Adult literacy program surpasses a milestone of 700,000 beneficiaries, since inception. TCS Hyderabad receives CSR award for Community Development from HYSEA. "I do not want India to be an economic superpower. I want India to be a happy country." "We want people to not just read the newspaper, but read their land records, the political manifestos not just hear speeches during election time. People are reading their children's books now."